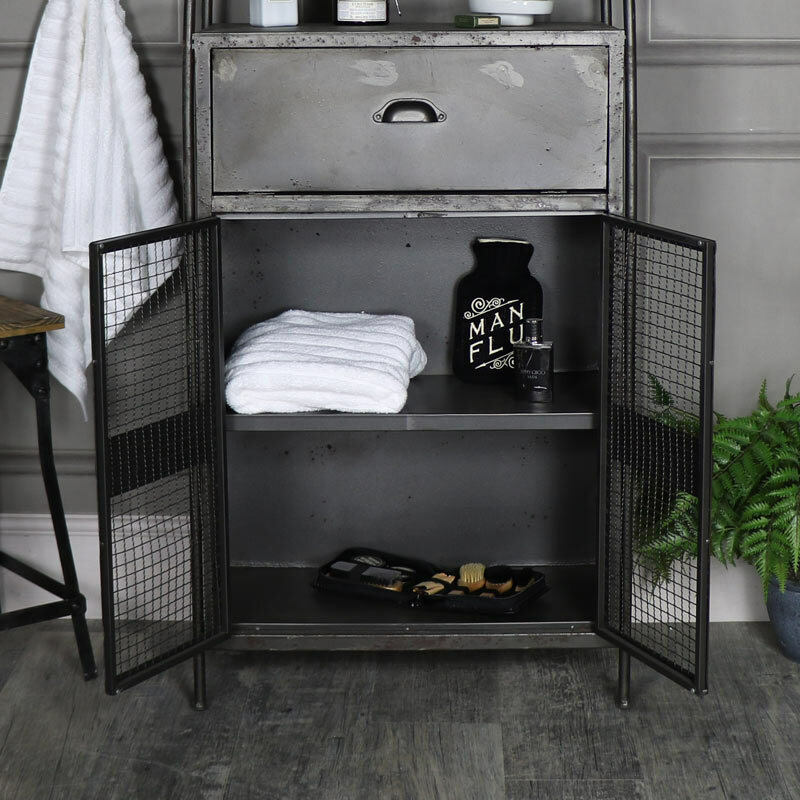 This fantastic mesh fronted storage cabinet is great for adding some retro industrial chic to your home, perfect for a modern living room, loft living style or even a modern hallway. 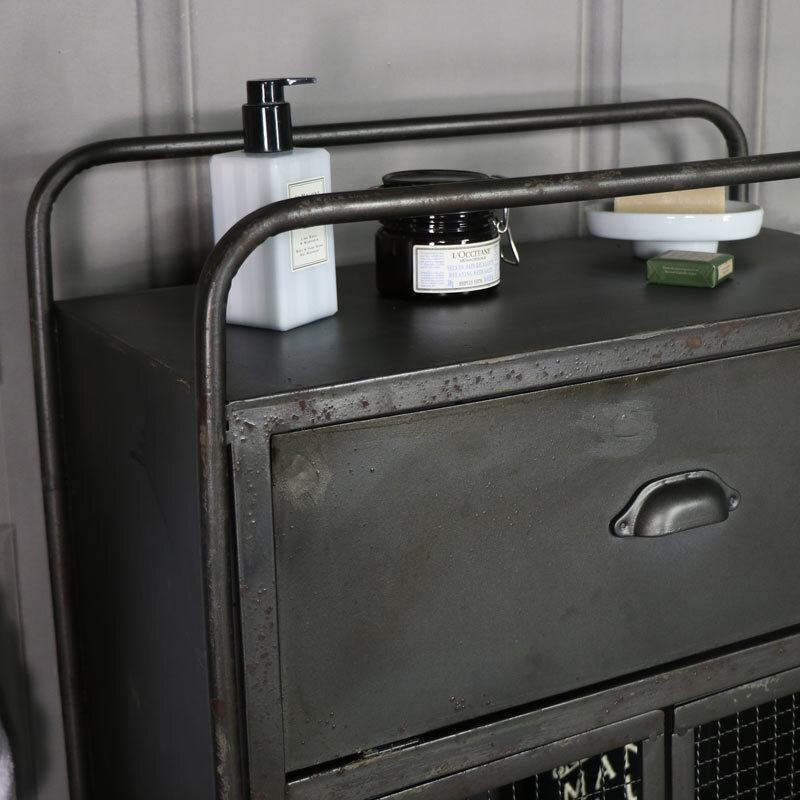 This cabinet offers great storage and has a rustic retro design which is both sturdy and practical for any home. 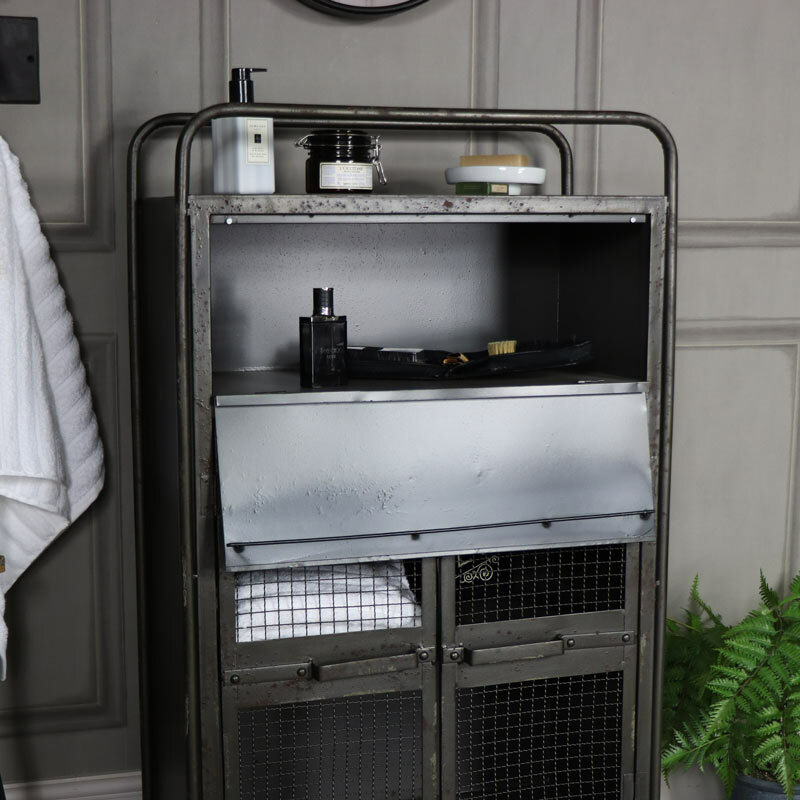 Constructed from metal with 1 large drawer and cupboard space underneath with mesh fronted doors. This versatile piece would be great for even a shed or the garage. 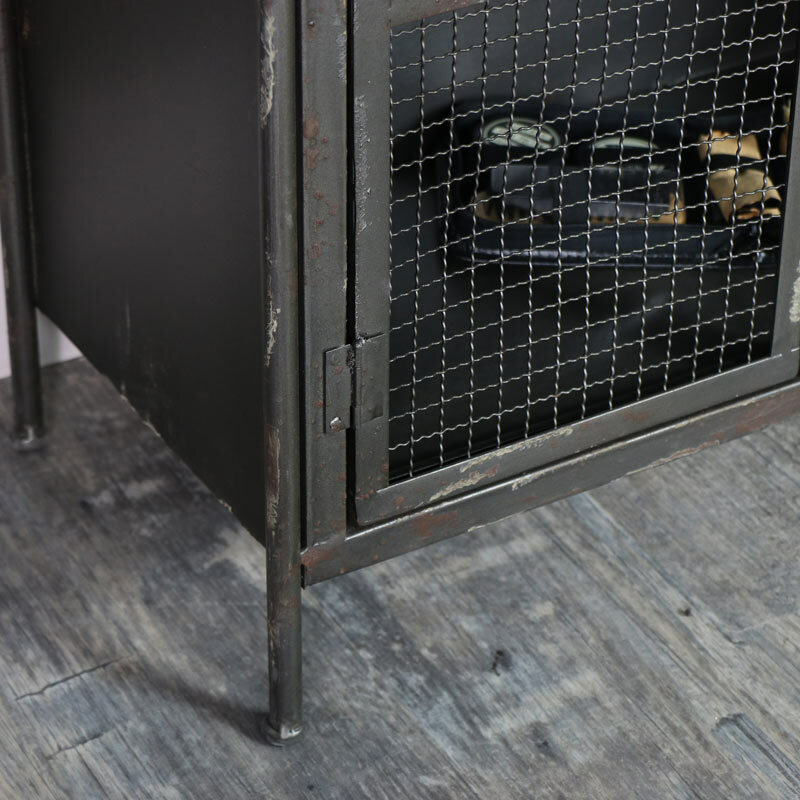 Made from metal in a rustic grey distressed finish. Fully assembled with 1 large drawer and cupboard with internal shelf. 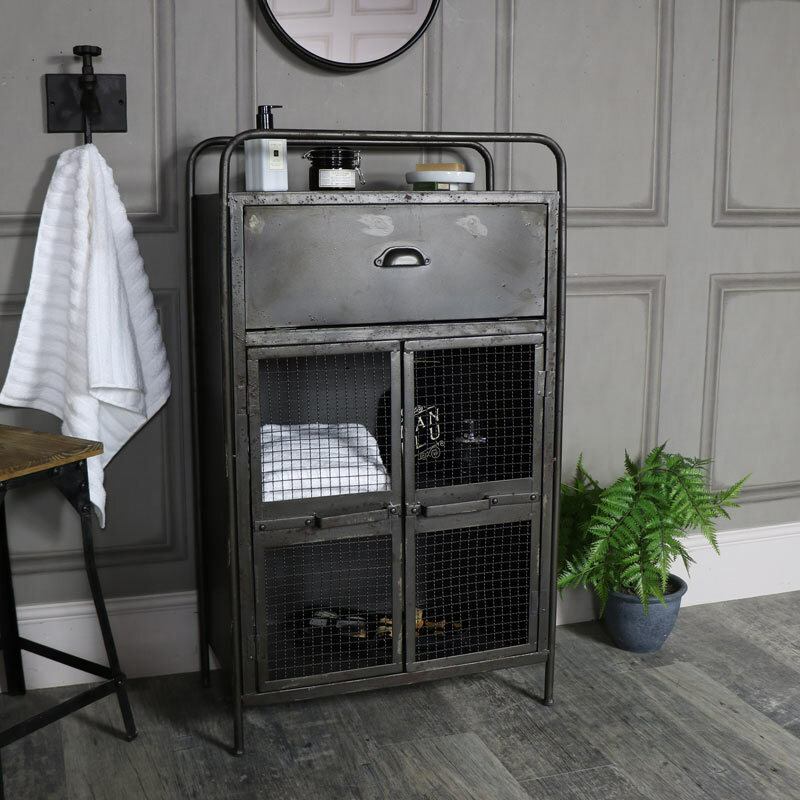 Industrial style furniture is perfect for adding a retro twist and fits in fantastically with contemporary as well as vintage interiors as well as adding that unique jazzy look.